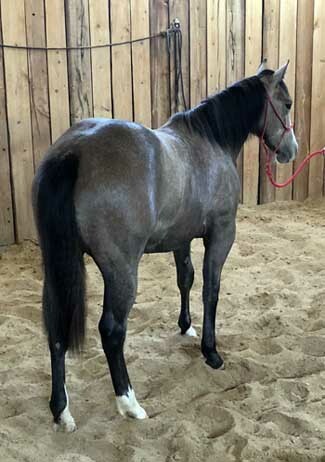 Cute gray filly that is easy on the eye. She moves well and is easy to be around. Full brother sells at Hip #4. Halter broke, gentle and sound. Full brother sells at Hip #4. AQHA Ranching Heritage and 2020 HPRBA Futurity Eligible.